- Follow and manage all the allocated VLS oversea tools from tool nomination to shipment in toolmaker. - Tracking the whole process of the tool development, to be sure all the major milestone will happen as scheduled ( try out, validation, FDPR…..); support tooling buyer for lead-time negotiation with toolmaker if needed. - Following all the quality issues regarding to both part and tool, to be sure all the issues solved before tool shipment. - Technical involve to the design review, try out, validation and FDPR, work with oversea site and toolmaker to solve technical issues, technical report is required. - Monitor toolmaker workload / financial Health ……closely follow and share the real status of toolmaker to tooling buyer team as one of the reference to place order. 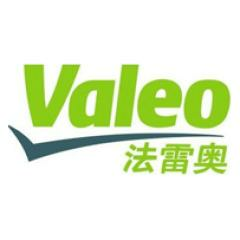 - Support to phase in new toolmaker, and train new toolmaker with Valeo tooling standard.